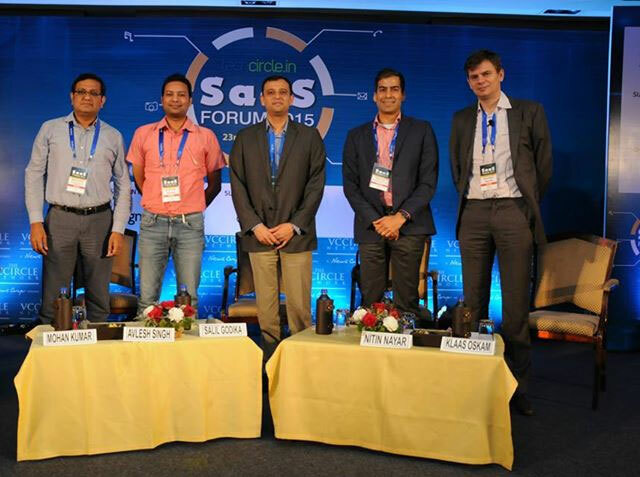 Indian SaaS companies should aim to become global players as the domestic market for enterprise IT products is not mature enough, according to industry executives who attended Techcircle SaaS Forum 2015. "Unlike consumer internet, SaaS has a global play; Indian companies will have to compete with the US- and Israel-based companies," said Mohan Kumar, executive director of Norwest Venture Partners (NVP). "India is not a large market for SaaS products. Startups should quickly get to the Middle East, Southeast Asia and other advanced markets," he said. "While the domestic market is a good breeding ground for product experimentation and validation, the focus should be on international clients," Kumar added. Shashank ND, co-founder and CEO of Practo (which sells web-based clinical management software to doctors and runs a platform listing medicare professionals), claims that his company's focus was global even when it was a college startup. "Vertical SaaS products like ours will need complementary business models," Shashank said. Practo, which recently raised $90 million from investors such as Yuri Milner, Tencent, Sofina and others, has international operations in the Philippines. It recently entered the Indonesian market. Aditya Sanghi, co-founder and CEO, Hotelogix, echoed similar views. "We made a conscious choice to sell overseas from the beginning," said Sanghi, whose company dabbles in software products for the hospitality segment. Murli Ravi, co-founder of Unicorn VC, said: "The US alone is not global. Startups should focus on Singapore, China, France and other markets." Are venture capitalists keen to invest in home-bred SaaS companies? While consumer internet firms continue to attract maximum capital, SaaS product companies are also finding takers, according to Avlesh Singh, founder of WebEngage. "Funding environment is getting better in India. Dearth of capital is not stopping SaaS companies from growing though they are not growing at the pace they would want to," he said. NVP's Kumar believes that the "time to launch SaaS companies from India is probably half-way past." However, NVP is open to investing in the right venture. "We will come in Series A, B and C (rounds) and our sweet spot is $5-30 million. We back companies with a revenue potential of $400 million," he said. Companies should go in for a public listing once they hit the $100 million revenue mark, he said. Nitin Nayar, managing director of Warburg Pincus India Pvt Ltd, said: "We will look at investing at Series C, D and E rounds and write cheques of $50-100 million. When we invest in SaaS companies, we look at a $1 billion outcome." So what are the top challenges for Indian SaaS firms? "The biggest challenges are product management and marketing," Salil Godika, co-founder, chief strategy and marketing officer of Happiest Minds Technologies, said.